Garage doors that are broken or worn out can be eyesores as well as safety concerns. If this describes the garage door on your home in Fort Worth, Texas, it’s time to call 31-W Insulation to have it replaced. We provide homeowners throughout the region with top-of-the-line garage door options and professional installations. With our home improvement services, you’ll soon be enjoying a beautiful new door that enhances, rather than detracts from, your home’s curb appeal. Color – You’ll be able to choose from many different color and woodgrain finish options, or you can choose two colors for a unique two-tone garage door. 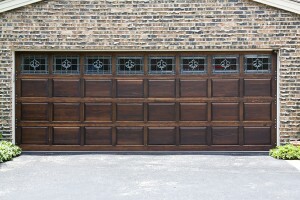 Style – Our garage doors come in styles that range from traditional to carriage house to modern. Window – You can choose whether or not you’d like to line the top of your door with windows. If you do, you’ll also have many shape and design options for the glass. If you’re not sure where to begin with selecting the right garage door for your home, 31-W Insulation can help you out. We are happy to provide you with a free in-home consultation to discuss your options in depth and help you determine what works best for your home. For more information about our garage doors and installation services in Fort Worth, TX, contact 31-W Insulation today.